Grant is one of the Hidden Treasures of Ottawa. His reputation is well known in the haiku/tanka world as he is a master of both forms. Those not familiar with the power of either form should spend time with Grant’s collection. Some would think these forms are not as important as ‘real’ poetry, which Grant also writes. But to take time with just one of them is to come away the richer. It’s awkward given the limits of this form of blog, to format the poem into its three lines. But we can still feel not just stillness, but an extraordinary stillness. We find ourselves there by the pond. we’ve gotten up very early, even before the birds begin their sounds perhaps. The surface shines, and clouds might be floating on the water. The next lines bring in not only the mirror of water, but suggest personal reflection, bringing not only the writer of the poem into the poem, but also everyone else who has ever sat by a pond noting the reflections, and reflecting. we look at the pond and in a sense the pond ‘looks’ at us. That stillness, a sense that other things are, momentarily, still too. it’s almost physical, it’s the way we expect magical moments to be. And what is there with you and me and the poet…but everything in existence, the bad and the good, the dark and the light. the more we reflect, the more everything becomes one. I haven’t even begun to talk about whether it is important that this is a morning pond, to think about the difference in stillness between a morning or an evening, or between a midnight or a noontime stillness, because then we’re really into what this haiku might mean. And what ‘everything’ implies, besides the physical world. what about every emotion, every thought. Now we see that this tiny poem is very large; it has to be to contain everything. 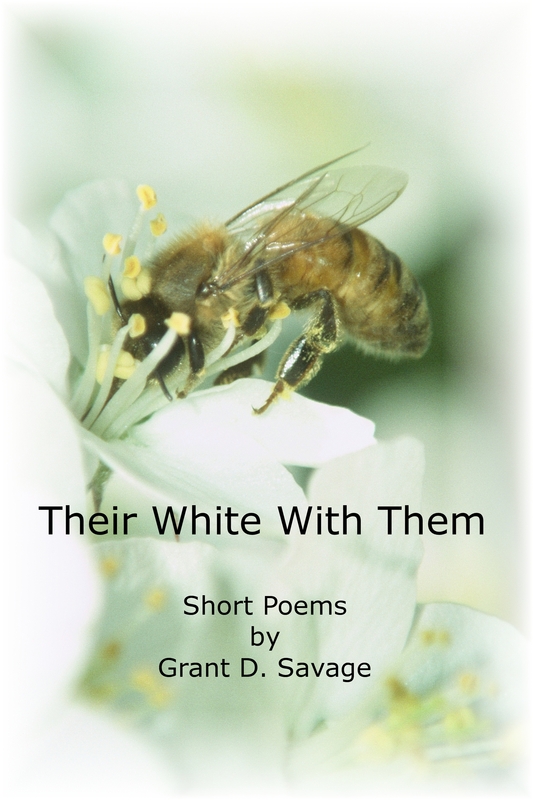 To have a copy of Grant’s book, to have hundreds of haiku and tanka withing reach, would be to have in one’s possession a lifetime of reading. I’ll leave with a tanka to mull over, to grow even as you read it again, and again.